Here's a little taste of what to expect on Daytona's upcoming project The Interlude, coming soon. Here's another in-studio performance from Aloe off his upcoming album Good Things, dropping September 28th. This is pretty dope! You get to see Nikki laying down each part of the song and of course scenes of her hometown. The Strong Survive EP drops September 14th. 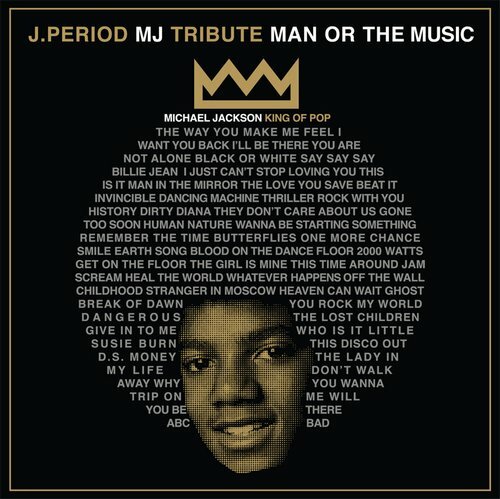 This tape was given out at Spike Lee's Brooklyn Loves MJ event in Prospect Park. Check it out! Max Tannone hits you with another remix project. He does some real good work on these. Check it! We finally get something from Q as his follow-up album Between Heaven & Hell drops September 7th. 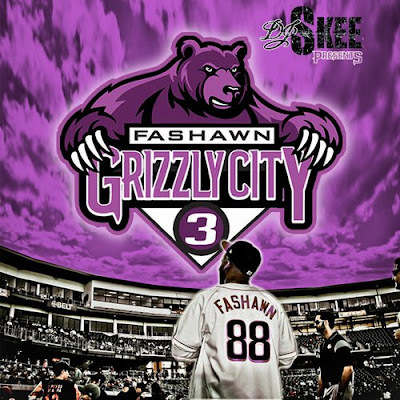 Fashawn has been busy as of late delivering a classic album, Boy Meets World, a dedication to a classic album, Ode To Illmatic, and now the third in his Grizzly City series. Enjoy! This is hilarious!! I'm really impressed with Director Nicolas Heller. He's doing some good, funny work. 2 Hungry Bros & 8thW1's No Room For Dessert is out now and it's really dope! Cop it! There's a mini-video at the end for that crazy track "State Of Emergency". He spits fire! Wow, this came out of nowhere. Interesting project! 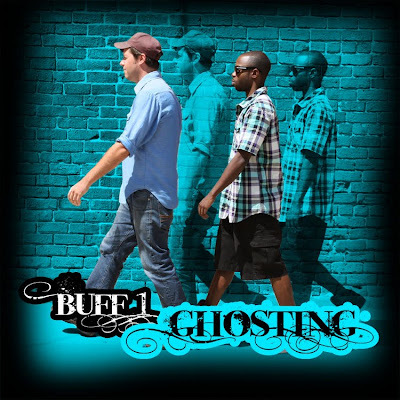 Ghosting is a project that gives listeners insight on the types of artists and music that inspires Buff1. Giving himself one week to write original material, Buff1 created this free project to be released into the blogosphere. Choosing songs that coincidentally had space for Buff1 to spit, none of the original songs have been edited. Buff felt there were obvious similarities between the music on this project and one of his favorite Ghostface songs “Holla”; on which Ghost raps over the entire Delfonic’s song “La-La Means I Love You”. 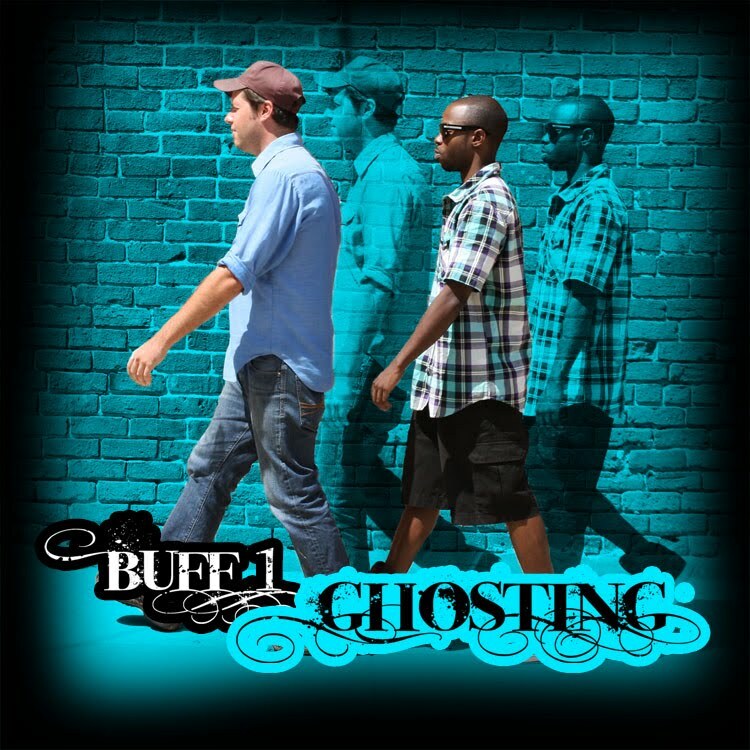 Ghosting also happens to be a game where one person follows behind another, mimicking their movements as closely as possible, without being detected. The Ghostface homage, combined with Buff1 trying his best to follow in the footsteps of the artists who inspired him to write this project, made the title obvious. Lastly, don’t sleep on the exclusive bonus track “Better” produced by Slot-A. This is the first video off Tah's brand new project Luminous Dark Alleys: The Insomniac Works. An album and 170-page book that takes a deep look into insomnia. For more info go here. Also, check out A Sleepless Talk With Tah Phrum Duh Bush, a piece I wrote on the homie. This is hilarious! Suicide By Jellyfish is coming soon, I think. And here's something I don't understand, isn't this a collaborative project with 8thW1? So where is he? Is it a P.SO project featuring 8thW1 here and there? Hmmm. French director Cedric Berthier lent his talents and his interpretation to Now On's song off their album Tomorrow Already, which is out now. This is dope! 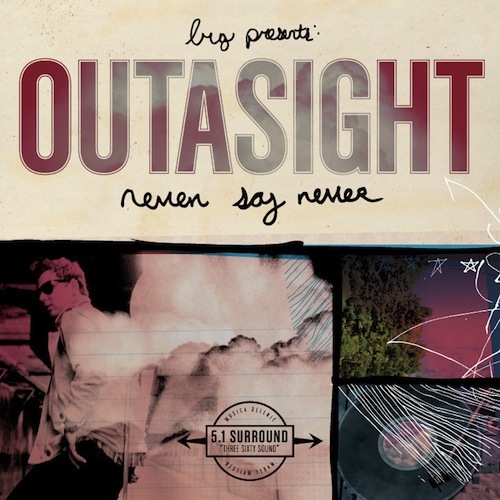 I also love the cover of the album! 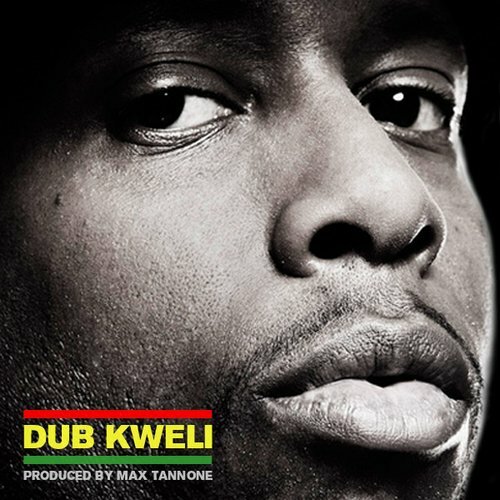 After several videos and an official introduction from 9th Wonder himself, the EP is here. Enjoy! This project has a lot of legs. Still going! A Love Supreme is out now. 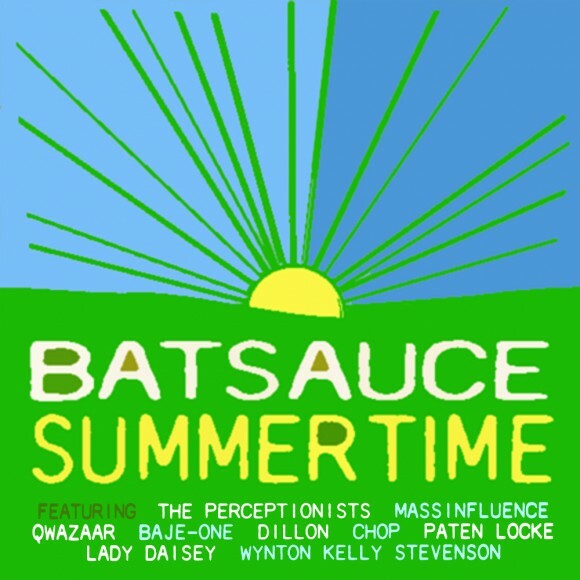 The producer of The Smile Rays has released this freebie as he flipped Gershwin's "Summertime" for various artists like The Perceptionists, Mass Influence and Lady Daisey to jump on. Enjoy! In Search Of Stoney Jackson is out now. A new vid from Black Milk's Album Of The Year, dropping September 14th. The film documents the struggle of political prisoners and the movement of Black August to make an impact on this and many other issues. The film premieres at Lincoln Center with a Q&A and performances. Gemstones used to run with Lupe and was an integral part of FNF. I've heard a few cuts here and there but his poetry is really good. Click below and enjoy! Shouts to GoWhere Hip Hop. Oddisee blessed this with his dope beat conductor ways. Definitely in line for this one. No release date yet. This is real cool! Truth To Power is out now. This is the first video from John Legend & The Roots' collab album Wake Up!, which sees its release on September 21st. It's an album recreating the inspirational anthems from the 60's and 70's. Sounds good to me because people need to wake the hell up! This is dope! Their self-titled EP drops August 24th. Brand new, simple video from P.SO & 8thW1 off of their upcoming project Suicide By Jellyfish. The clock strikes midnight, starting another day in the cycle of life. Eyes open. Aware. Thinking and looking up at the same ceiling, described to its smallest details over and over again. The hand print from bouncing on the bed. The tiny crack from a leak. It's just another night for Tah Phrum Duh Bush. Coming from the depths of East Flatbush, Tah had issues getting up from sleep as a kid, forcing him to figure out a way to stay up. Once he reached high school, the pattern flipped and he couldn't get himself to sleep. It's all he's known for the rest of his life. A mind that runs all day and all night with no sense of stopping, enough to give him relief. "The dichotomy of my life continues to haunt me. Anything with me is an opposite. I've learned that my life is a constant evaluation of opposites, polar opposites and grey area opposites." The struggle of having a brain that doesn't stop was forcing Tah to look at natural remedies such as Melatonin, which didn't work. He took Valeria Root which just led him to hallucinate deeply. Remedies began to fade bringing him to a scary place of suicidal thoughts. "There's a fear of not finding a way out of the way you're currently living. And to know that there's one sure possible way out is one of the scariest things in the world." As this process continued, Tah chose to write a couple of songs about his experiences with the idea of putting out a maxi-single. The process took him deeper than he thought as song after song came rushing out. It became a full album as his friends encouraged him to get personal so people can get to know who Tah is as an artist and a human being. Luminous Dark Alleys: The Insomniac Works was born, giving way to not only an album but an accompanying book. While working on the album and book, Tah encountered a number of people who had similar symptoms and issues with insomnia. One such person described the effect of going without sleep for about 36 hours, which Tah calls butterfly vertigo. He describes it as the feeling of your heart pounding while your pulse is normal. Your vision becomes blurred and you feel like you're falling. This acknowledgement from someone else started to feel familiar for Tah, as if he was talking to himself. In many ways, this project, this journey, began to give him comfort in knowing he wasn't alone. As he started to create what would become the song "Sleep At Last" on the album, Tah remembered his mother would sing "Somewhere Over The Rainbow" so he could sleep. This song has shown up many times throughout his life, including as a sample on his last album Sunshine Or Pure Shade. "I began to look into how lullabies work and whats the power that's put in them to make people go to sleep." Tah sat down in front of his studio, wondering what would make him go to sleep. He put on a trippy beat and started to imagine a dream world where he didn't have to worry about anything. An almost schizophrenic world to escape from reality. As he worked on the song he kept falling asleep. It brought him closer to understanding the condition he was dealing with. "Insomnia is something I'm acknowledging in my life now and my path in this life is to find a balance. Finding balance is a constant process. There's a constant battle between emotion and logic." Tah has become much clearer about his life and the ways in which his mind works. He's grown as a person inside of his personal art. "I allowed other people to get involved in this project which I've never done before. I was always preaching to work as a whole and here I was doing everything by myself. So I've matured in that aspect because collaborating with other artists just enhances my art. This project has been enlightening." As Tah continues his journey through life's process of light and dark, the ultimate prize begins now as he releases his most personal work to the world, awaiting his resting place among the middle of life. Luminous Dark Alleys: The Insomniac Works album and book drops today. Go to tahonline.com for more info. Also, the Tah Phrum Duh Bush and Coole High Release Party @ Santos is tonight. I'm digging Nicholas Heller's direction as of late. This is the new video from Fresh. 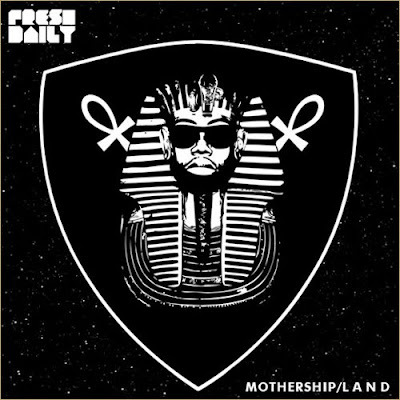 Mothership/L A N D is out now. Here's a new video from El-P's project Weareallgoingtoburninhellmegamixxx3, out now. Enjoy and download the new Outasight project. Good tunes!! Here's the first single and video from Evidence's upcoming LP Cats & Dogs on Rhymesayers. This track is banging and the video is just, well, crazy. Watch! Here it is! Joaquin Phoenix ran around talking about quitting film and becoming a rapper but it was all for this documentary. Should be intriguing. Damn, 9th really has a roster going. Dope! Here's something Stalley did as a dedication to New Orleans as we approach the fifth anniversary of Katrina. Here's the first video off Kooley's latest project Eastern Standard Time. This is a cool short flick by Seattle based company Oh, Hello. It takes a look at the effect a winning lottery ticket has on a small group of people. 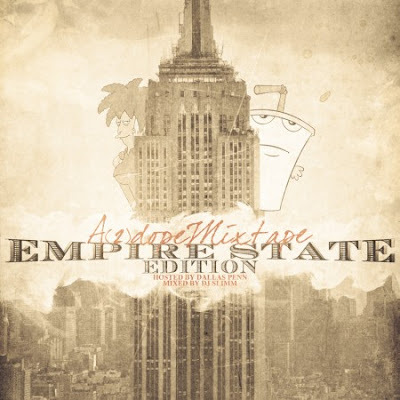 2DB put out this mixtape filled with new music from PackFM, Skyzoo, Torae, CurT@!n$, Fresh Daily and many more NYC artists. Check it out! This is the first single from Mickey's debut The Achievement, coming soon. This is dope! Check it out as Jack Labadie shows you the process of making his painting of J. Cole. Props to 2DB. I posted this because I'm a fan of Emilio Sparks. Nice piece on Staten Island too. I haven't checked out Wale's latest project More About Nothing but this intrigues me now. Great thing they have going in Chicago with Closed Sessions! Video: Friends We Love featuring Ellis Gallagher aka © Ellis G.
Created by filmmaker Mike Vargas and multimedia artist Moni Pineda, Friends We Love profiles artists and their creative processes, inspirations, and passions. New vid from Fresh off his recent project Mothership/L A N D, which is out now. Some dopeness out of Detroit. Expect a future full-length collabo in 2011 from Waajeed and Invincible. Emilio killed his verse! Nice track and video. Directed by Derek Pike. Laws' 5:01 Overtime is out now. Real nice visuals for this Actual Proof smooth head nodder from their self-titled album, coming soon. Reminds me of the Tribe cover. D-Nice catches up with Pharoahe as he talks about the record "Oh No", his battles with asthma and his upcoming album, W.A.R. (We Are Renegades), on Duck Down and its significance. This is really chill! QN5's Kokayi and tabi Bonney put together this song in one day. Here's the video archiving that process including a performance that evening. So dope! Look out for Kokayi's Robots & Dinosaurs. Too short but pretty damn cool. Starring Megan Fox and that dude from Lost. Recovery is out now. I dig this! Check out Majestik's project To Be Continued...Pt. 1 at his Bandcamp page. I Am The West drops September 28th. This is tough! Bald Headed Samsun is out now. After months and months of working on this project, Fresh Daily has unleashed the final product. There's some deep, intricate things happening here. Take a listen! Here's the latest offering from Fashawn off his classic debut album Boy Meets World. Fash's upcoming tape Grizzly City 3 is due out August 24th. This is fly! This will be on Ski's project 24 Hour Karate School which is dropping September 7th. If you want an album to chill to Curren$y's Pilot Talk is the theme. Cop it! Directed by Creative Control. This is really cool! Check out how vinyl is made at Archer Record Pressing in Detroit as Invincible and Waajeed visit the plant for their 7" record "Detroit Summer", which drops on August 10th. You can also expect a full-length collaboration in 2011. Here's the first video off Exile's upcoming remix album for his previous release Radio. AM/FM is due Augst 31st. Unlike the current remix album that's out now, which only has producers flipping tracks, this will have singers and emcees on it. TheComeUpShow catches up with 1/2 of Slaughterhouse as they talk about the group's place in Hip Hop and how Hip Hop is for children. Slaughterhouse is out now. This is a nice treat from Stones Throw. Hit the link! This came out of nowhere for me. 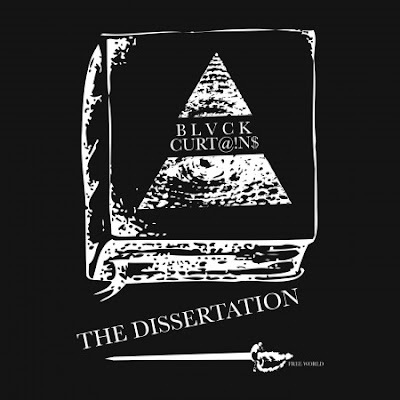 Here's CurT@!n$ going in over Wu intrumentals. Enjoy! Yet another video from Rhymefest's El Che, which is out now. Clever concept! Some visuals from the 9th Wonder proteges. Actual Proof EP drops August 24th. Another introduction of a member of 9th's camp. 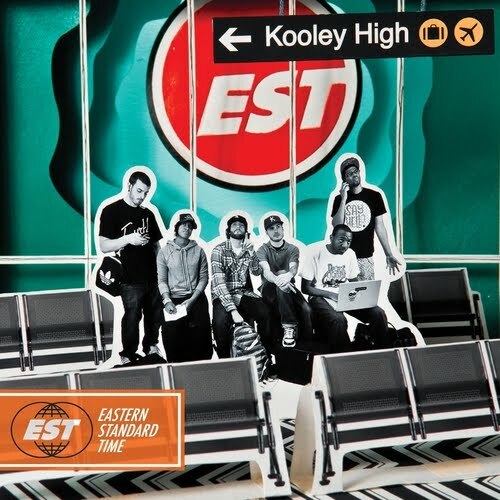 NC's Kooley High are back with a brand new project for your ears. Enjoy! Good Things drops September 28th. Although heavy handed at times, this is a great piece of work. I like the use of the acoustic version of the song. Stereotype is out now. You can also check out Blitz with Public Enemy at Central Park's Summerstage on August 15th. The audio isn't great but it still gives you a good idea of who the AOK Collective is. I believe this is the first time in awhile that they all performed together so it was a unique night. 2 Hungry Bros. Present 8thW1's No Room For Dessert is out now. This is gonna be sick! One of the dopest promos I've seen in awhile! Black Milk's Album Of The Year drops on September 14th. Interesting approach by Rik Cordero, who is known to put together some great concepts and this is no exception. The Roots' How I Got Over is out now. This is the first single from their upcoming project Live From The Tape Deck, coming this fall. I'm liking Sky's consistency in his catalog and Illmind is just dope on the drums. Lyrics to go! This is straight raw lyricism! Dope! From their album Black Belt Theater. This is so dope!! A beautiful display of running down the line lyricism. Everythings Berri is out now. Cool shots and concept! Perfect Strangers EP is out now.